Aristocrat Gaming was first launched as a company in 1953, making them one of the oldest distributors of online casino games in the industry. The company have worked tirelessly over the years to create new, exciting casino games and have gone from some of the most famous land-based games to now establishing a foothold within the online sector as well. The company are based out of Sydney, Australia and they will be the first to admit that they aren’t the biggest provider going. In fact, they purposely avoid creating hundreds of games in order to concentrate on creating the most ‘perfect’ games they can (if one exists). If ever there was a company who followed the quality over quantity motto then Aristocrat might just be them. They only have 20 slots across their whole online catalogue, and when you consider that some of the larger companies offer 20 or even 30 times this amount, it puts into perspective how relatively small they are. However, what you are going to be getting from aristocrat is a lovingly created range of top notch games. Their innovative approach to the industry has been very refreshing to see and we were delighted when we saw that they included a number of branded games as well – but more on those later. For now, we wanted to touch on the slots that they have made from the ground up, as these are often the games that define companies such as Aristocrat. The first port of call was to a game called Goblins Gold. We had heard of the game previously and seen that it had gotten rave reviews from a number of reputable casino sites, and while we won’t go as far as saying that the game quite lived up to the expectations set by said casino sites, we could see where they were coming from. 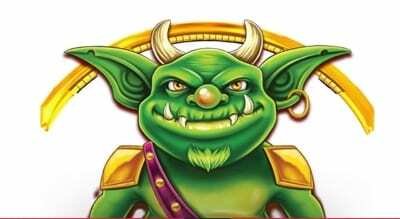 Goblins Gold included a good range of bonuses and features, and although the design was good it’s not going to set the world alight. A couple more of their own-brand games were then tested like Sky Rider 2 and African Big 5. To be honest, they followed a very similar pattern in that the games themselves were good enough, but the designs were a little basic. Not a great start. At this point we felt we needed to get stuck into the main events from Aristocrat; the branded slots. As huge Walking Dead fans, we headed on over to the Walking Dead II slot and started her up. Finally, this is what we had been looking for. The first thing that hits you is the exciting theme music and the almost movie-like sequences. The game includes several characters from the TV show but it also has tons of bonus and feature rounds to play. Within just a few minutes we had already unlocked 2 bonus rounds, with another couple more available. We eventually had to drag ourselves away from the Walking Dead II slot – it was that good – but we knew that more branded games were on offer and this drew us towards The Big Bang Theory slot as, again, we were fans of the TV show. We aren’t ashamed to admit that it was Penny we all wanted to see, but having all the cast on offer was a really nice touch. Again, a huge range of bonus rounds can be explored and you get some nice voice overs from a number of the cast. 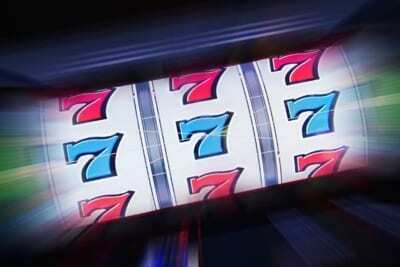 There are also 10 mystery bonuses that can be played throughout the slot, with one of them loading up 4 different slot tables, massively increasing your chance of winning. 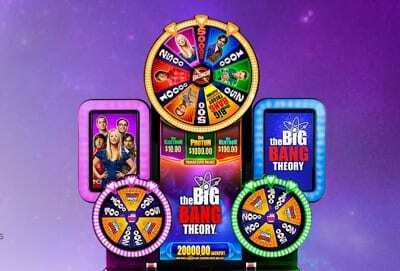 Fans of the show are going to love the slot, but even those who aren’t familiar with the TV show will find it very easy to get submerged in this slightly whacky online slot. The site included a number of other branded games as well, like Sons of Anarchy, Game of Thrones, The Sopranos, and Batman. Again, each of these could more than hold their own against any other slots in the industry. The downside is that the range of games on offer is limited and they would have to be used in conjunction with other casino software providers. This isn’t a massive issue, but we did find that a few of the ‘lesser’ games, if you can call them that, weren’t in the same league as the branded titles that were on offer. The company was started in 1953 by Len Ainsworth in an attempt to create a new range of casino slots and games. Obviously, at this time business could on focus on land based casinos and Aristocrat launched with their first casino game, The Clubmaster. Looking back now it was quite the beast, and although the concepts of the game haven’t changed all that much from your penny slot machines, the looks and features clearly have. In 1960 the company moved out of their Sydney base and started to get their products into casinos across Europe and the US. 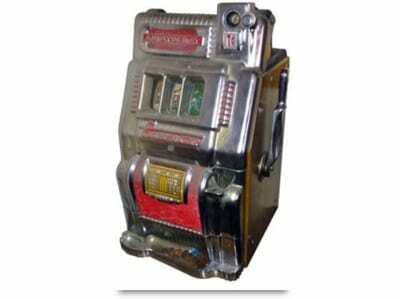 By 1962 they had games dotted around Las Vegas, which even then was considered to be the gambling capital of the world. It was around the 1970s when the company started to go digital with their games, and this saw a huge change in how they were not only designed, but also how they functioned. By 1983 the company had come up with the Virtual Reel, which meant that certain reels could be weighted to increase how often it paid out. This practice still happens today and is known as the Return To Player percentage, although these days it can be adjusted electronically. By 1990 Aristocrat was listed as a public company on the Australian Stock Exchange. By this stage, they had also managed to release technology that helped with the introduction of Wi-Fi and also to help hearing aids function more efficiently. Big changes came in the mid 90’s when their founder gave away his stock to family members amidst a cancer scare that turned out to be a false alarm. The papers were already signed, however, so Len Ainsworth no longer headed the company. By 2006 the company had flourished with the growth of online casino games, but with a global economic downturn, the next 3 years proved to be very tough. They underwent huge changes at a senior level and decided to cut back on the land based casinos games and concentrate on their online and mobile presence. Despite this, they remain one of the biggest providers of land based machines in the world.